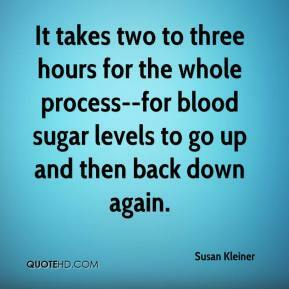 It takes two to three hours for the whole process--for blood sugar levels to go up and then back down again. 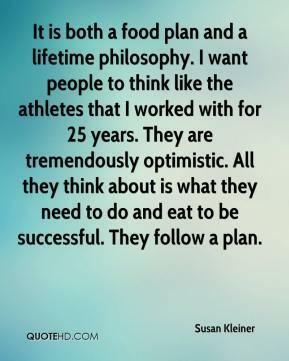 It is both a food plan and a lifetime philosophy. I want people to think like the athletes that I worked with for 25 years. They are tremendously optimistic. All they think about is what they need to do and eat to be successful. They follow a plan.